According to the Fort Worth Star-Telegram, the TRWD now has a new contractor to finish the Airfield Falls Trailhead within the next 3 to 4 months. The trailhead will have 30-space parking lot, restrooms, picnic facilities and demonstration gardens. 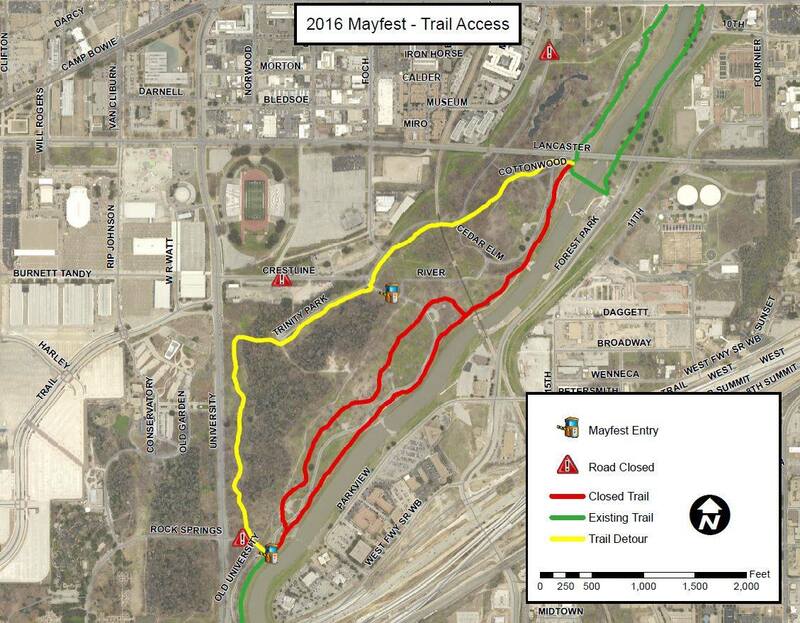 Starting April 11 through May 4th, part of the Trinity Trail in Trinity Park will be closed for Mayfest and Mayfest preparations. You will still be able to get from one end of Trinity Park to the other, but only on the gravel loop trail that runs through the woods along University Drive. Vehicle access to Trinity Park will be closed off completely. I know that a lot of people prefer loop trails to out and back trails. So I wanted to point out that there are now 2 loops on the Trinity Trails near downtown Fort Worth. The 2 loops actually form a figure 8 for a 4.5 mile total length. The lower loop is contained withing Trinity Park and the upper loop extends from the North end of Trinity Park to the Panther Island Pavilion area. The middle of the 'figure 8' is the Phyllis Tilley Memorial Bridge. 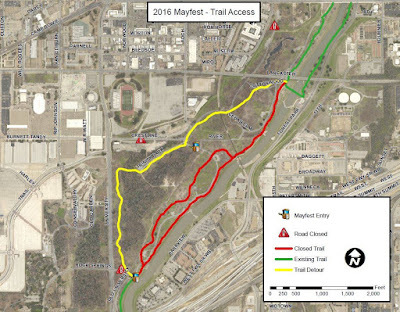 Note: 1.1 miles of the lower left of the trail (in Trinity Park) is crushed gravel trail only. The rest is paved and mostly dual trail. The Airfield Falls trail head is still closed and will remain so for some time as construction has stopped. More on that below. If you are looking for a trailhead in a close vicinity of Airfield Falls, TRWD has recently completed a trail access point from the Westworth Village City Hall (311 Burton Hill Road) to the Trinity Trails. You are able to park and use their water fountain and restroom facilities located inside City Hall. 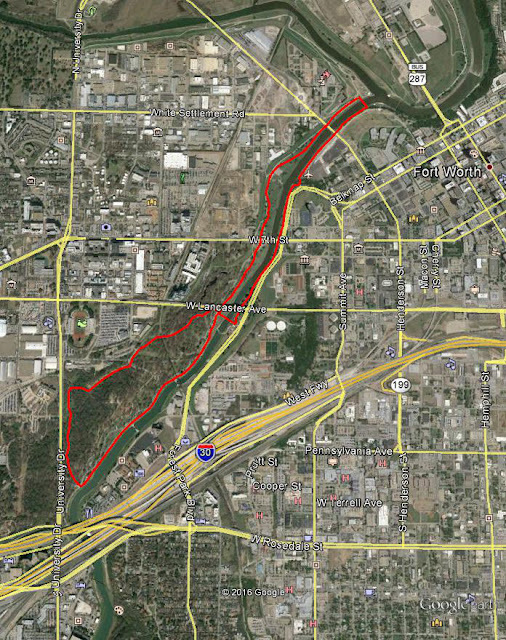 Attached is a map that will help you get to the falls from City Hall. The contractor on the project has ceased work and has requested that TRWD make a transition from the contractor to the bonding company to complete the Airfield Falls Trailhead project. TRWD is in active communication with the bond company to complete the project as soon as possible.